Four men have been arrested after a "paramilitary-style" shooting in west Belfast on Friday. A 20-year-old man was shot in both legs and was found in an alleyway at Westrock Park at about 20:30 GMT. Police said he remained in hospital with "potentially life-changing injuries". 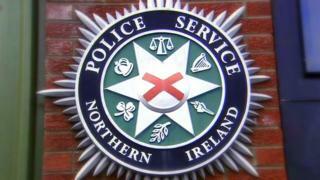 Earlier on Friday night a 25-year-old man was also shot in both legs in Lisfannon Park in Londonderry. Image caption The shooting in Derry happened at about 19:15 GMT on Friday. He was taken to hospital for his injuries. Det Insp Brennan said that the west Belfast attack was "reckless".